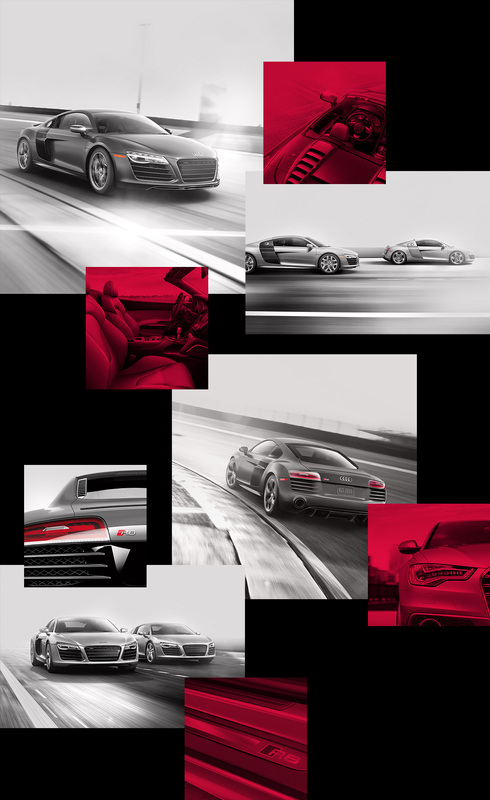 Responsive websites for Audi's annual Audi Driving Experience and R8 Driving Experience. 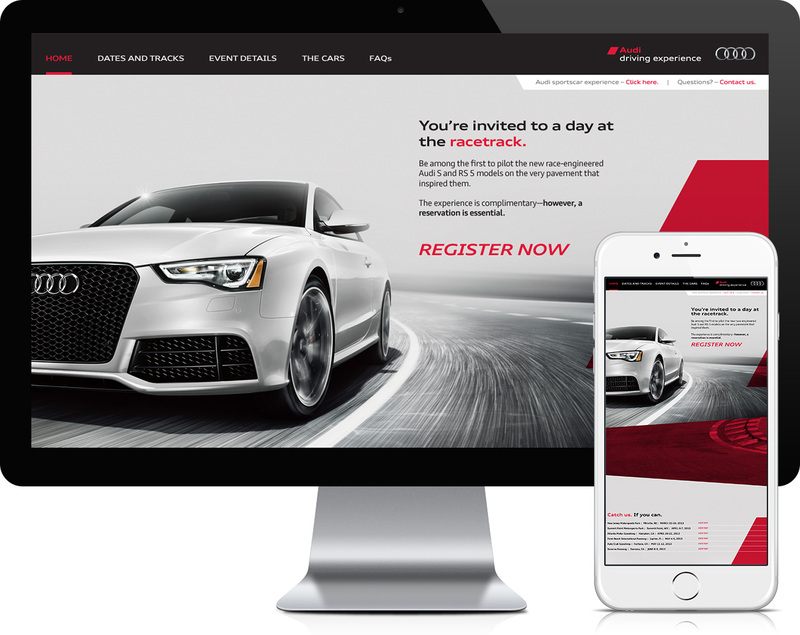 I worked with Apex Performance and Audi USA to design and build registration websites for Audi's Driving Experience events. 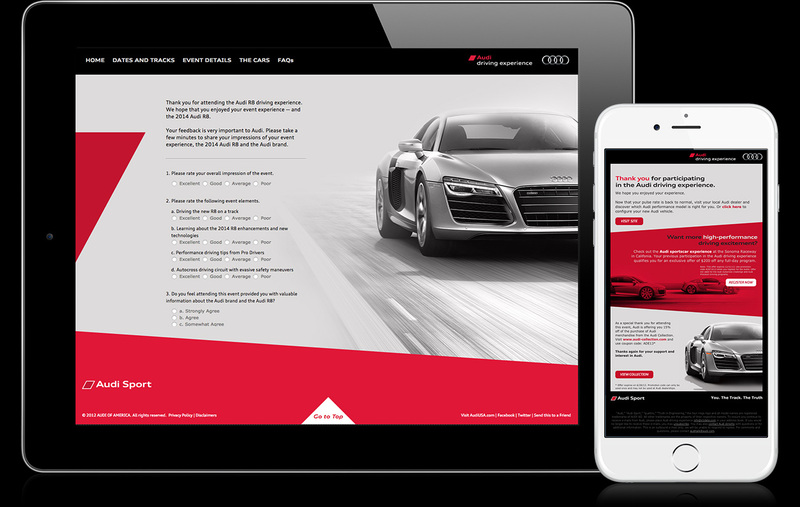 In addition to the websites, I designed their email marketing campaigns, print materials for the events and digital surveys for the drivers.